Microsoft will soon consign Windows Vista to the dustbin of history. In April 2017, the life of one the worst versions of Windows ever released will come to an end. At which point you should seriously consider upgrading to Windows 7, Windows 8, or Windows 10. Pick your poison! Windows Vista will die on April 11, 2017, at which point Microsoft will pull all support for the much-maligned operating system The Most Hated Windows Versions & Why They Were So Bad The Most Hated Windows Versions & Why They Were So Bad The rule of thumb is that every other version of Windows is awesome. But why have the "bad" versions of Windows — ME, Vista, and 8 — been so hated? Read More . So, if you’re running Vista, the time has come to upgrade to a newer version of Windows. Something you should have done a long time ago, to be perfectly honest. Microsoft launched Windows Vista on January 30, 2007. Unfortunately, Microsoft’s new operating system was met with a barrage of negative reviews. As is Microsoft’s way, the company has continued supporting Vista for the last 10 years, but its time is now up. According to a Microsoft Support page, after April 11, 2017, Windows Vista users will “no longer receive new security updates, non-security hotfixes, free or paid assisted support options, or online technical content updates from Microsoft”. Microsoft explains that after supporting Vista for 10 years, “the time has come for us, along with our hardware and software partners, to invest our resources towards more recent technologies so that we can continue to deliver great new experiences”. It should be noted that this doesn’t mean your Vista-powered PC will suddenly stop working. However, without support from Microsoft it will slowly but surely become more susceptible to viruses, malware, and other security risks. Especially as Microsoft is also ending support for Microsoft Security Essentials on Vista. Wait, Windows Vista Is Still a Thing? According to NetMarketshare, Windows Vista has a 0.78 percent market share amongst desktop users. Which is less than half of the 1.65 percent still using Windows 8, and a fraction of the 8.45 percent market share enjoyed by Windows XP. Which suggests most people will be learning Windows Vista is still a thing just prior to its death. Regardless, there’s still a pang of sadness to see Windows Vista being euthanized. This unloved operating system may not be mourned with the same reverence shown to Windows XP What The Windows XPocalypse Means For You What The Windows XPocalypse Means For You Microsoft is going to kill support for Windows XP in April 2014. This has serious consequences for both businesses and consumers. 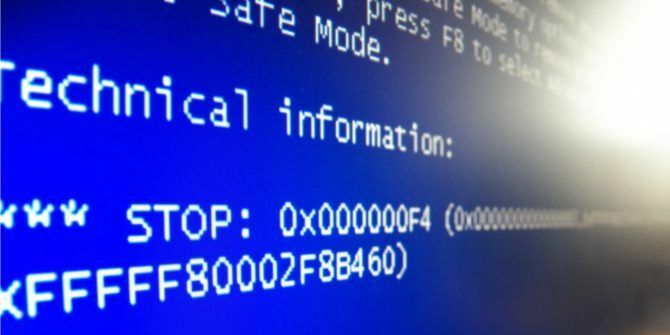 Here is what you should know if you are still running Windows XP. Read More , but its demise will nonetheless adversely affect the handful of people still using Vista. Are you still using Windows Vista? If so, why? What made you stick with Windows Vista for so long? Was Windows Vista really all that bad? Will you be upgrading to Windows 7, Windows 8, or Windows 10? Or switching from Windows to Linux? Please let us know in the comments below! Explore more about: Microsoft, Windows, Windows Upgrade, Windows Vista. I've been using Vista, Win 7 and Win 8.1 for many years. After Service Pack 2, Vista is by far the most reliable OS I have ever used. I never had huge problems with Vista, but it never seemed to get high adoption rates from developers. Your article is misleading too. Your? Vista computer won't suddenly quit turning on in April. And also, really, telling people that downgrading to XP as an option? You realize it isn't supported either? I have Vista on a 10 yr old media center PC in my family room. When we can't find anything on Roku, we'll boot it up, click off all the updates being pushed at us, and video surf with it. Looks and sounds awesome on my 55" plasma TV/LG soundbar system. Has never hiccuped - not once. I don't care what OS is on it - as long as it stays out of my way - its the best possible one that exists. I've been using Vista for 10 years and it's been fine for me. My husband I are retired and possibly don't over extend it's functions. I am shopping for a new tower and operating system. Very disappointing since our budget is stretched. Vista no longer syncs my iPad and iTunes, gifts from my kids. Brave new world, I guess! Yes I have been using vista for almost 10 years now and I have loved it. My only complaints have been the lack of support that companies have showed it in the past couple of years and a slow indexing system. I have only received one bluescreen in my computer's significant use. I will likely be updating to Windows 10 as soon as I use an old piece of software to get videos off of an old camera. I also have a few laptops that run Windows 10 in the house and I notice little difference with the way I use them. Yes I still use Vista. Never a problem. My guess is that with just the right hardware Vista runs just fine, like mine. Btw I also have computers that run Windows 7 and 10. I never had a problem with Vista 64 Ultimate!